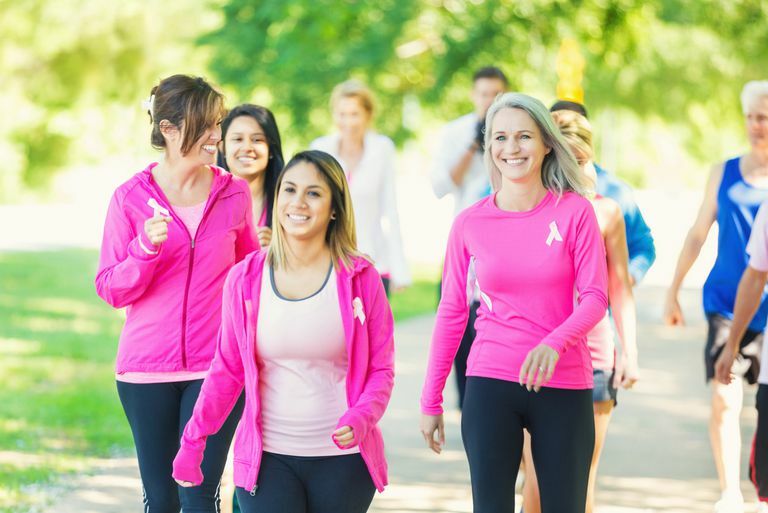 You were just recruited to walk in a charity walking event—maybe the Race for the Cure, the March for Babies, the MS Walk, or others. But you're not a walker! Now what will you do? How are you going to make it through those miles? First, take a deep breath. Your feet were made for walking. Let's take it one step at a time. When Should You Start Walking? It's best if you have several weeks before the event to get in some training. Start now and plan to walk at least 15 minutes every day, gradually increasing your time and distance. This absolute beginner's walking tutorial is perfect if you have a month or more before the walking event to prepare. Follow the schedule shown and most people will be able to complete distances up to 5 miles. Get started TODAY. Depending on your normal activity level, walk for 15 minutes to a half hour each day before the event. How Far Is a 5K? How Long Will It Take? Your walking comfort starts at the bottom—your shoes and socks. Here's a walking shoe guide for full information on what to look for. Get fit for a pair of your own. The trick is to go to the store in your area that caters to serious runners and has a sales staff interested in getting you into a well-fit pair of shoes. Then you must walk in them through the month, every day, to know that they work well. If you don't have time to find and break in a new pair of shoes, your best bet is to use your favorite sneakers. Where you can make a difference is with your socks. Forget about cotton socks, get to an athletic store and buy a pair of CoolMax socks or blister-resistant socks. These wick away the sweat to keep your feet dry and less prone to blistering. What If I Get Blisters? A big problem for those going on a long walk for which they haven't adequately trained is blisters. Learn how to prevent blisters the easy way, by coating your feet with petroleum jelly before you put on your socks. If you have been practicing and get blisters in an area despite petroleum jelly, then cover those areas with moleskin or a bandage before you walk. Will I Get Shin Splints? Are your shins hurting when you walk? Shin splints are common for people who are new to walking. Shins only get exercised by walking, and when you change your walking speed, distance, or shoes you will hear about it from your shins. Stop and rest a bit. Then slow down and take smaller steps. What Else Should I Wear? Costumes: At some events, folks dress up in zany costumes. If you do that, keep it simple enough to walk in and have some fun. Shirts (Inner Layer): The shirt next to your skin is the inner layer. It should be of a wicking fabric such as polypropylene or Coolmax. But you will probably want to wear the free t-shirt (usually cotton) they give you for registering for the walk, or one you have from last year. That's fine, although cotton shirts will retain sweat and moisture during the event and you will end up feeling damp and clammy—especially if it's a hot day. Underwear: Underneath it all, women should wear a sports bra. Both men and women may experience painful chafing, so apply petroleum jelly if you do not wear a bra. Spandex running shorts are a great idea for both sexes to prevent chafing in the upper thigh area. Outer Layer: In most climates you will want a windproof, water resistant outer layer—a jacket or windbreaker. One with a rain hood is an excellent idea. Note: Umbrellas end up poking other walkers or being a chore to carry. Insulation: In cold climates, you should wear an insulating layer between your t-shirt and your jacket. Microfleece is an excellent choice. A wool shirt is OK. Sweatshirts may end up making you very sweaty. You will usually get pretty warm after the first few minutes walking and may start shedding layers. Bottoms (Shorts or Pants): If it isn't good weather for shorts, then select comfortable pants that move easily with you. Many folks will wear jeans, but they are a poor choice since they're made of heavy, water absorbent fabric. But if your jeans are your most comfortable pants, then go for it. Hat: In any weather, but especially if it's raining, a hat to keep your head warm or the sun off your scalp is a requirement. Packs: Most charity events are short enough that you won't need to carry much. Ditch the purse and dig out a waistpack in which to carry your keys, identification, and other essentials. What Should I Eat and Drink Before, During, and After? Charity walks generally have plenty of snacks and drinks along the walk and at the start/finish. Before: Drink a large glass of water two hours before the walk, then nothing until you get started. This gives your body enough water and you enough time to use the bathroom before you start. During: Along the walk, drink water at each water stop. On warm days, carry your own water in your waistpack so you can drink a cup of water every 20 minutes if there isn't enough on the course. Sports drinks are often offered on the course. You will generally not need a sports drink if you are walking for an hour or less. For longer walks, enjoy some sports drink after the first half hour. This replaces the salt you are sweating away. For snacks, bananas are the perfect walking snack. They replace potassium and have sugar and starch. On longer walk, salty pretzels can help you replace salt lost in sweating. After: At the end of the walk, drink a large glass of water. Go ahead and grab the free sports bars they offer—eat them if you are hungry, but better yet save them for later. Remember, walking burns approximately 100 calories per mile for a 150-pound person. Don't eat too much in celebrating! Make sure you know the start/finish locations and pick up your registration at the correct time and location. Do research on where to park or information on public transportation. Once you have your race number, grab some extra safety pins and apply your sunscreen. Give yourself time to get into the bathroom line before the start. Start at a slow and comfortable pace for the first 5-10 minutes. This is easy to do at large events as everyone is moving slow. Speed up to your natural pace but remember this is not a race, be gracious to those you pass. Pass on the left unless you are facing traffic on an open road. In that case you pass on the traffic side. If walking with friends, be aware of those who wish to pass you and don't block the route while walking abreast. Be respectful of property—stay on the path, do not trample on people's lawns and gardens, and only use designated bathrooms. Don't litter—deposit cups and other trash in waste receptacles or carry them with you until you find one. Do not smoke while walking. If you feel a blister coming on, stop and apply a bandage immediately before it grows. Obey event volunteers and treat them kindly. At the finish, take only an appropriate share of the goodies. You've done it! You made it through a challenging walk, hopefully none worse for the wear. Enjoy your reward—the t-shirt, medal, pin or other item you received. Wear it with pride! Now that you know you can walk a distance, it's time to plan the next charity walking event you will tackle. Perhaps a bigger challenge would help you get fit and healthy through the training. You might even consider train to walk a marathon for charity. Many such programs even pay for your transportation and registration to a great walking marathon in a wonderful locale. Look for walking clubs and groups in your area to join with for their walks to keep you motivated.